« Day 517 In Beijing: Blue Tour In Cappadocia: Sukru Scaling The Steps. 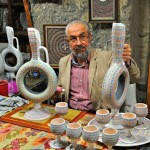 Day 518 In Beijing: Blue Tour In Cappadocia, Sultan’s Ceramics. Jill had been on a few of these tours before and knew that they would take us to showrooms. These showrooms would have demonstrations of how different textiles, and art, is made and then we’d be able to buy them. We are both very frugal, and since we plan to be traveling for most of the rest of our lives, we didn’t have any plans on buying anything but wanted to see the demonstrations just the same. 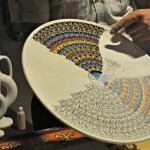 The first location we went to was Sultan’s Ceramics. They have been in business for many years, as some of their craftsmen are 6th or 7th generation potters and painters. I say craftsmen because women don’t do pottery in the shops. It is very defined, even now, and it seems it will that way. That is neither good nor bad but something specific to the culture. 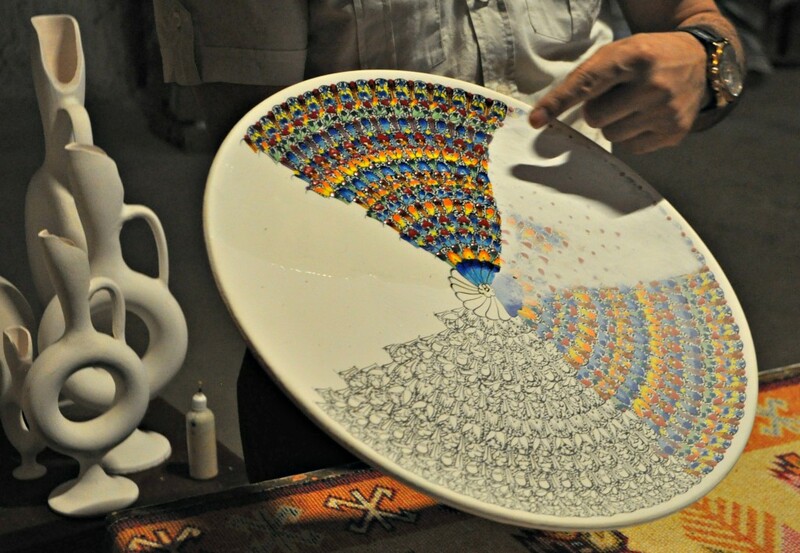 We first met our guide from Sultan’s Ceramics and he explained how they first started the business, how long they have been around, and how they make the pottery. They then invited us to watch the artists at work and were mesmerized. I don’t know if I’d want to be doing this, hour after hour, because I’m thinking my eyesight, and my body, would wear out. They are so exact, so perfect, and so repetitive that I can only imagine one must love what they do beyond belief. Looking at the faces of the men working, which alternated being serious to utter joy, makes me think that they do. 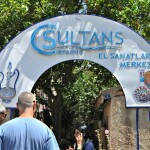 The entry way to Sultan’s Ceramics. And the back of my head. 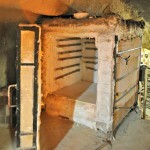 One of the kilms where the pottery is fired. 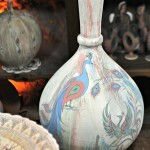 A vase, with a peacock, partially painted.